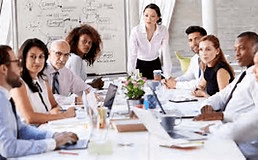 A recent study led by Professor Øyvind L. Martinsen, head of Leadership and Organisational Behaviour at the BI Norwegian Business School concludes that women are better suited to leadership than men. In nearly all areas, the survey concluded that women were better leaders than their male counterparts. Women outperformed men in four of the five categories studied: initiative and clear communication; openness and ability to innovate; sociability and supportiveness; and methodical management and goal-setting. “Businesses must always seek to attract customers and clients and to increase productivity and profits. Our results indicate that women naturally rank higher, in general, than men in their abilities to innovate and lead with clarity and impact,” Martinsen said. While people might think progress is being made, the number of women running the 500 most powerful companies in the US fell by more than 12 per cent last year.